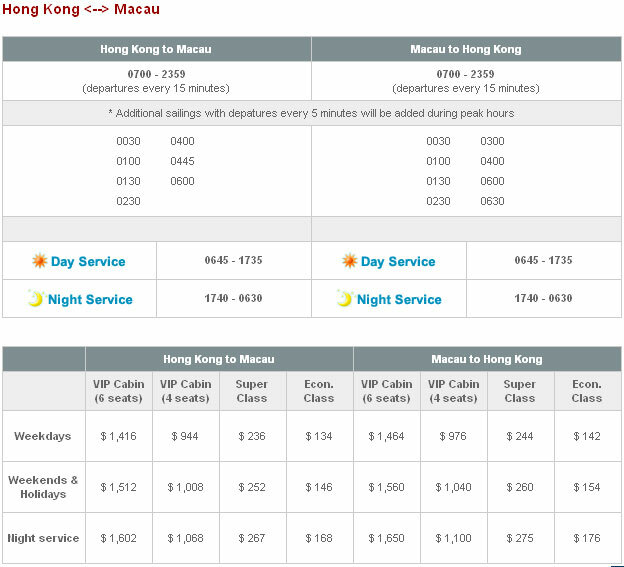 - Holiday fares applicable to HK and Macau public holidays. - Senior (60 or above) and children (below 12) may enjoy HK$15 off / ticket. Remark : The Above Shown Price are walk in 2015 rate which may updated by Turbo Jet. Please recheck.